The NRD is a proud and active partner in the Back to the River effort in metro Omaha that envisions a riverfront that is attractive to wildlife and commerce… a riverfront that is a vibrant, integral part of our daily lives, where families as well as out-of-town visitors can relax and enjoy the outdoors. 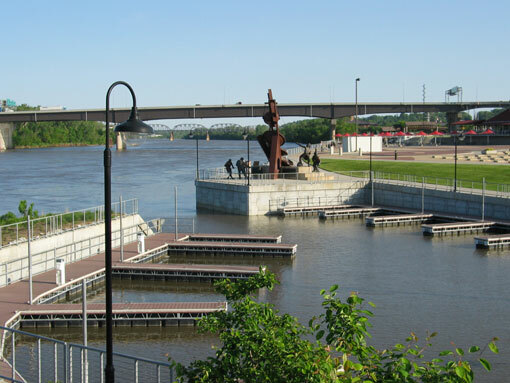 Both rural and urban communities along the Missouri will benefit economically from increased access to the river as cities and towns take advantage of new opportunities to promote recreation and outdoor education in their areas. The Missouri River can again be a place where families are strengthened, the region’s natural beauty is preserved, and our economy is enhanced. Reaching Back to the River’s goals and reconnecting our community back to the river will require the continued effort of many agencies, work by local leaders of all sectors, the patience of nature itself and the support of our citizens.